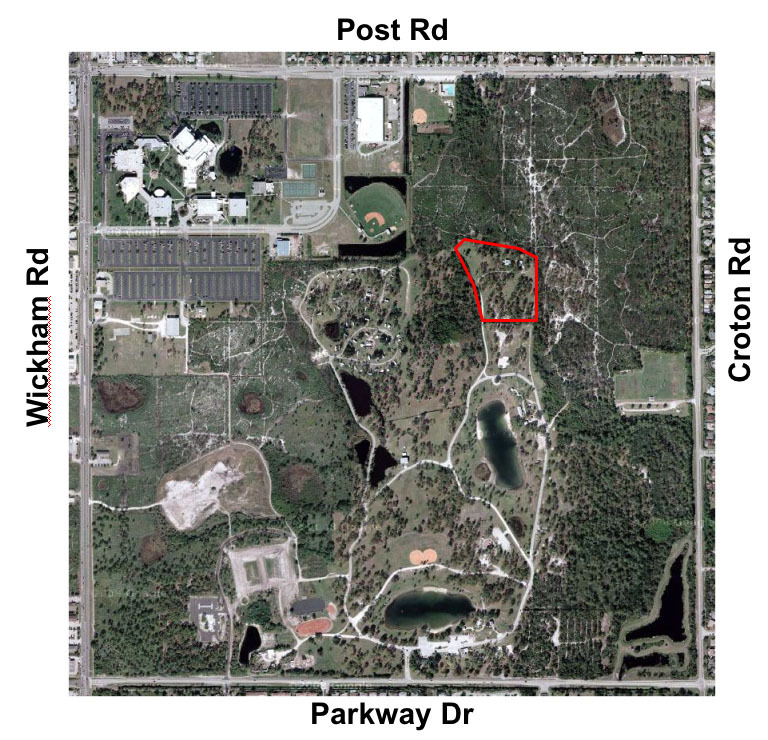 This post consists of a satellite view of Wickham Park, plus a simplified map showing my usual wildflower tour through the park. Click images to see the maps full size. The area outlined in red is the youth camping area, which I use as a reference point in describing trails and the locations of wildflowers. The King Center and BCC campus is in the NW corner of this 1-sq. mi. area. 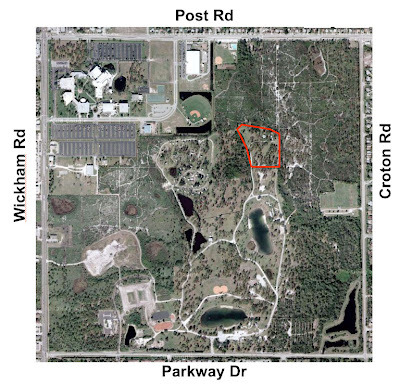 The park entrance is at bottom center, off Parkway Dr. Near the south side is the "front" lake. To the right of that is the archery area, and further east, the storm water ponds. Soccer fields are at center right. The "back" lake is near the center of the area. 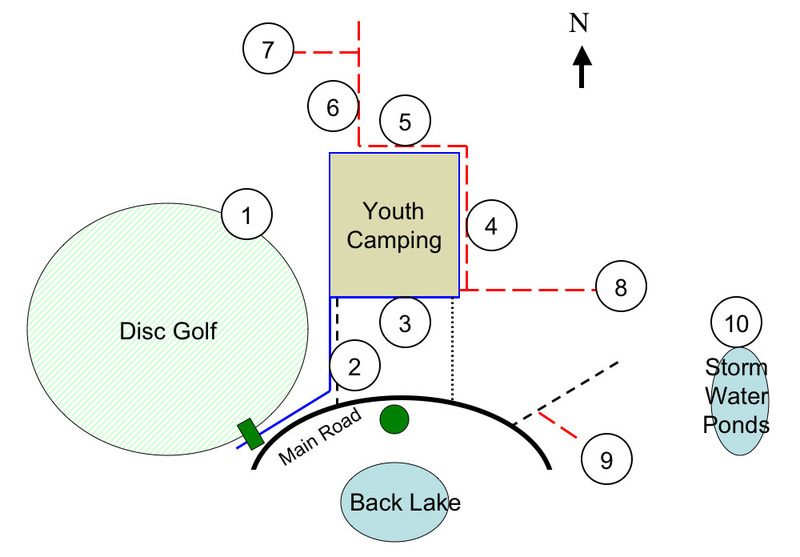 Public campgrounds are just below the BCC campus, to the west of the youth camping area. 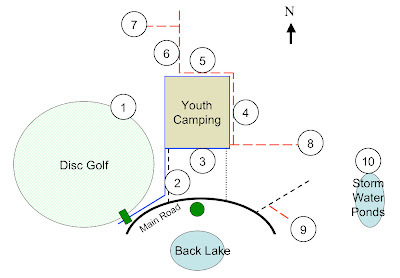 The disc golf areas are to the west of the back lake. The equestrian area is to the west of the front lake. The new Leisure Center (under construction at the time of this satellite photo) is just north of the equestrian area. The numbers indicate areas that I frequently return to looking for new wildflowers and checking on the old ones. Following are photos of each area plus a description of the trails and the plants seen along them. North side of the disc golf area (watch for flying discs!). There's a small, natural meadow here, populated with a few small pines, wiregrass, and palmettos. Wildflowers growing in this area include blackroot, roserush, yellow-eyed grass, and lopsided indiangrass. Growing at the edge of the natural area, rough hedgehyssop and fringed yellow stargrass are easily spotted. In the mowed area, you might be lucky enough to spot two small carnivorous plants--butterwort, and zigzag bladderwort (I've found them only once). To the west of the small meadow is a larger area consisting of a thicket of grapevines and small shrubs, with goldenrod poking up in late summer. 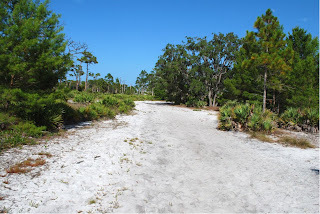 Further west around the bend, is one of my favorites--loblolly bay; their creamy white flowers can be found here down at eye level, where you can get a good close-up view. 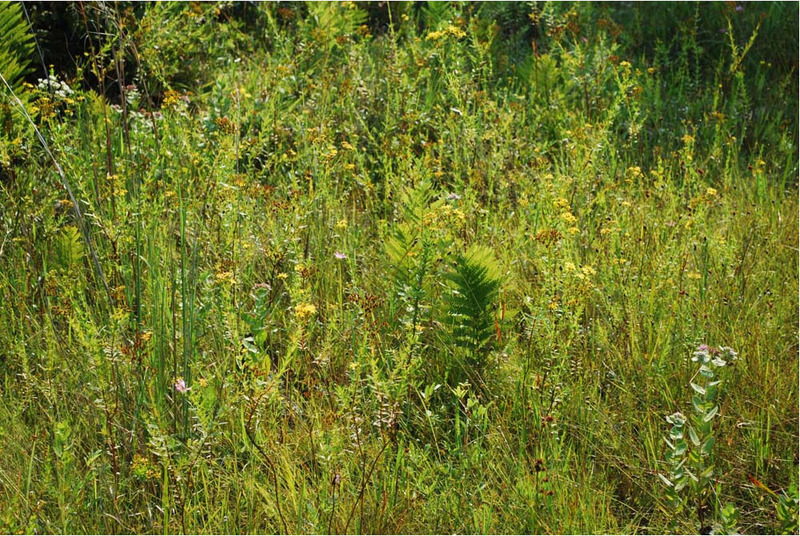 Near the loblolly bays are meadowbeauty and yellow milkwort. 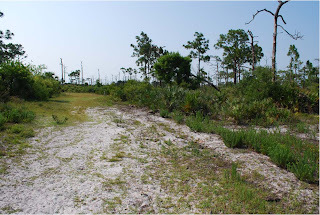 Further around, on the north side of the loblolly bays are the purple flowers: blazing star, vanillaleaf, and hairy chaffhead. Ditch that runs along the west side of the west road into the youth camping area. 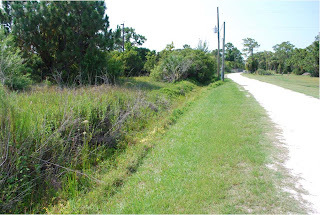 Wildflowers along the grassy edge of the ditch include two species of primrosewillows, beeblossom, globe amaranth, dayflower, capeweed, Spanish needles, creeping beggartick, showy milkwort, bluehearts, tasselflower, eryngo, evening primrose, bay lobelia (a Florida endemic), and toadflax. Down in the ditch where it is usually wet or moist, are found smooth buttonweed, waterhyssop, mock bishopsweed, rosy camphorweed, redroot, blue mistflower, and starrush whitetop. Growing in the natural area on the west edge of the ditch are creeping oxeye daisy, tickseed (Coreopsis), beggarticks, asters, two species of St. John's-wort, and groundsel tree or saltbush. Ditch on the south side of the youth camping area. The main plant in the ditch itself is cattail. 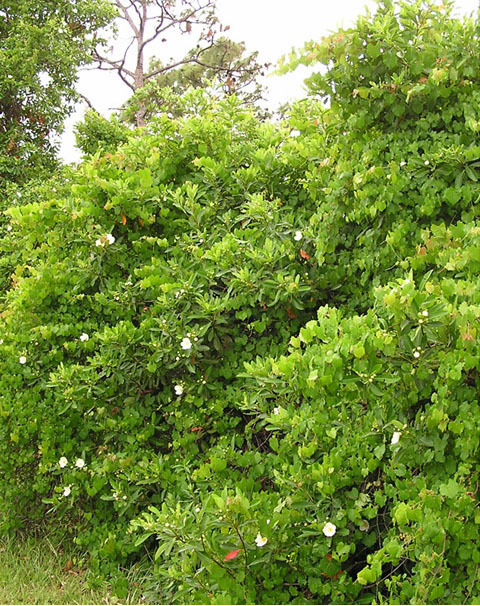 Along the edge of the ditch can be found climbing hempweed, shyleaf, Mexican clover, thoroughwort, elephantsfoot, tarflower, and partridge pea. Trail that runs north-south on the east side of the youth camping area. About 5 years ago, this was a fairly narrow, grassy trail through the pine flatwoods. 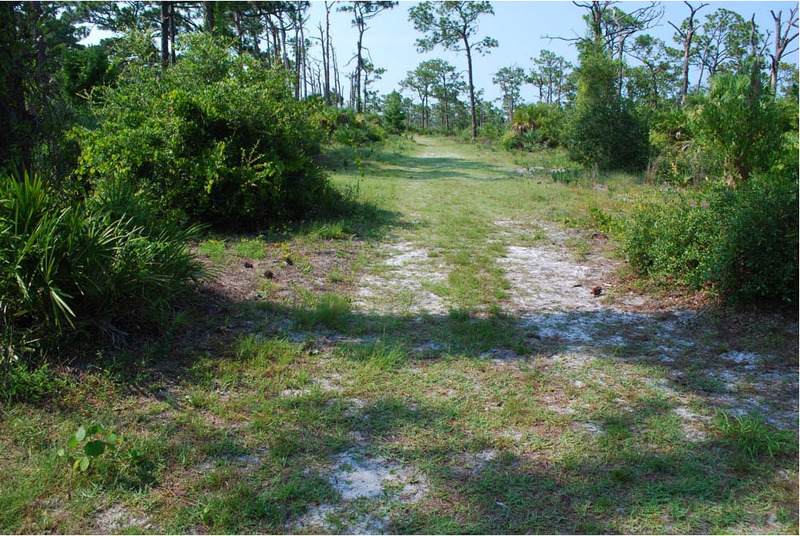 After the wildfires of early 2006, the trail was plowed into a wide firebreak, which made walking difficult. The trail is now compacted and again grassy, making walking much easier. Some of the unusual plants that once grew here have finally returned, but others have yet to reappear. For some reason, the west side of this trail has more wildflowers than the east side. 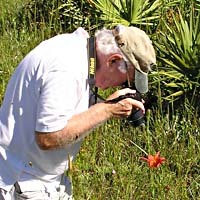 They include caesarweed, Florida false sunflower (an endemic), camphorweed (the most abundant plant here), pawpaw, pricklypear, the ubiquitous rustweed, Adam's needles, wild pennyroyal, savannah milkweed, Florida milkweed (endemic), coastalplain palafox, and roseling. It's always an accident when I find either of the two milkweeds. They don't seem to stay put. The roseling is also chancy. Trail running east-west on the north side of the youth camping area. This is a weedy, disturbed area, but some of the weeds have pretty flowers--rough buttonweed is a prime example. 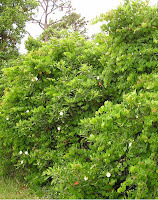 Other plants include woodland lettuce, goldenrod, hairypod cowpea, downy milkpea, Elliot's milkpea, yellow buttons, seaside primrosewillow, winged sumac, gallberry, fetterbush, staggerbush, and tarflower. Trail that runs north from the youth camping area. 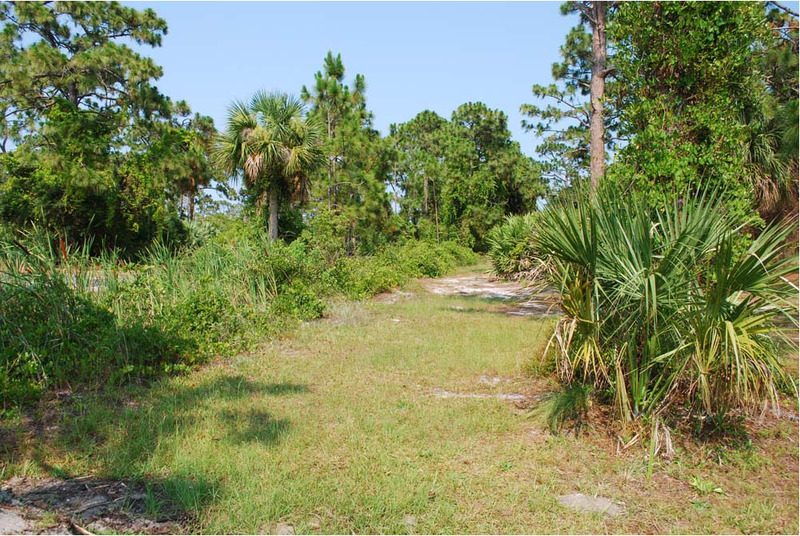 Near the dry, south end of this trail are found saw palmetto, gallberry, fetterbush, staggerbush, blueberry, and tarflower. Further north, the soil becomes more moist, ideal for yellow milkwort, wild bachelor's button, meadowbeauty, and two species of St. John's-wort. Trail running west and ending in a boggy area. A button rattlesnakemaster stands guard on the north corner as this trail heads west from the previous trail. Near the beginning on the south side are usually several clumps of whitetop or pinebarren aster, one of the first plants to return after a fire. 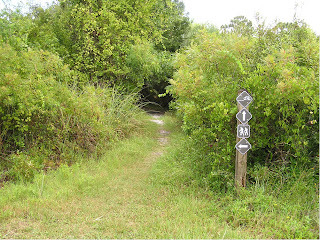 Further on the trail comes to a boggy area--well, boggy only if it's rained recently. Several small meadows are here; they're especially flush with colorful wildflowers a few days after a good rain. Some of the more common wildflowers here are rosegentian (Sabatia), meadowbeauty, yellow-eyed grass, goldenrod, St. John's-wort, redroot, rosy camphorweed, beggarticks, and tickseed. This boggy area has a few wildflowers that I've found nowhere else in the park: yellow colicroot, the tiny twinflower, white violet, hatpins, and the carnivorous sundew. 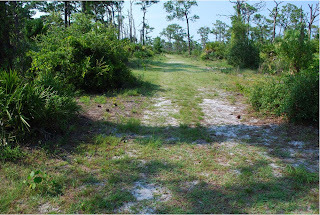 Very dry, sandy trail that runs east from the SE corner of the youth camping area. This is a very wide trail (firebreak) of deep, white sugar sand. 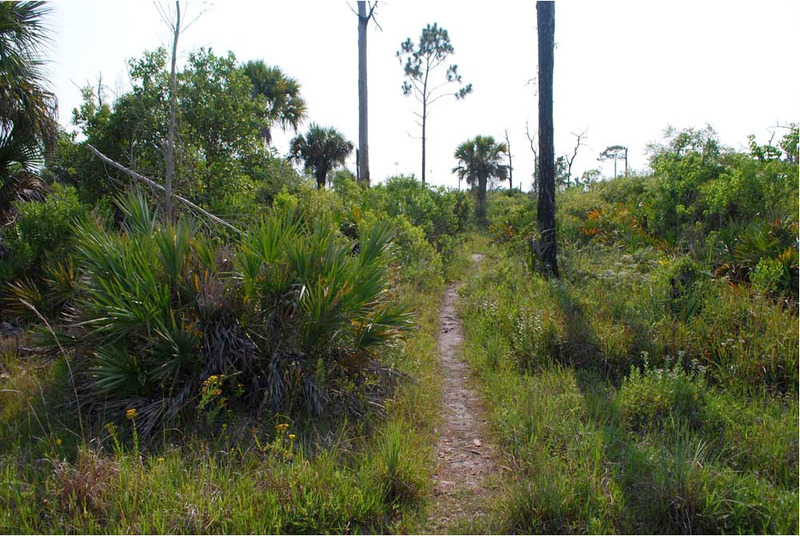 For some reason the trail divides the area into two distinct habitats. 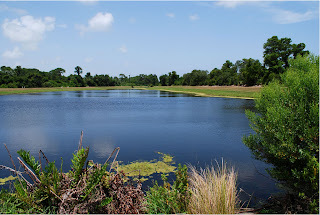 On the north side are longleaf pine, palmettos, wiregrass, and gallberry. On the south side is a community of sand pines, sand live oaks, Florida rosemary, and reindeer moss. 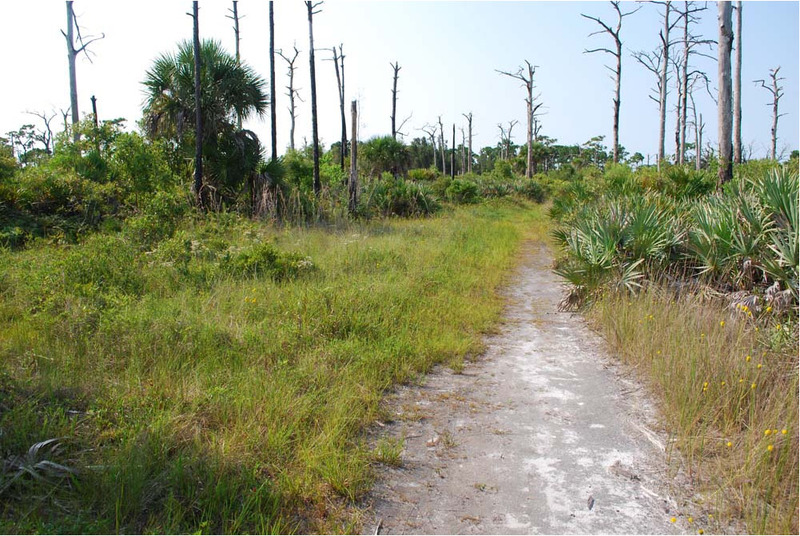 I wonder, which came first--the trail or the habitats? The pine woods on the north side have been subjected to fire multiple times. The south side appears to have been untouched by fire. About the only wildflower I've found on the south side is silkgrass. 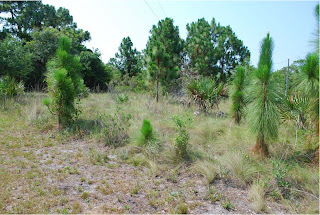 The pine woods on the north side, however, are home to four unique, small, nearly leafless plants: pineland pinweed, the delicate hairy jointweed (endemic), Florida spurge (endemic), and pineland scalypink (I love that name!). Look for all four of these plants in sandy areas. You have to look close to spot them, but once you see one, you then will see a lot more. A very common plant, gopher apple, is also found in this area. Trail that runs easterly off the side road to the soccer fields. Before you head down this trail, look for the following plants near where a small stream goes under the road to the soccer fields: Virginia creeper, beeblossom, and water hemlock. The trail, which runs along a stream, quickly goes into a cool, wooded tunnel. Look to the left just before the entrance to the tunnel to see the exotic and invasive old-world climbing fern with its unique leaflets. It is smothering the shrubs and trees on the left side of the trail. About 30-50 ft. further along on the left side, still in the shady tunnel, is a small group of pretty helmet skullcap (blooming in the spring). 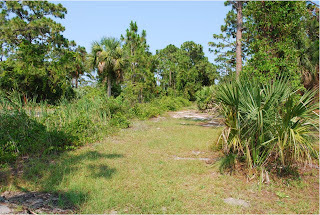 This trail continues through low, wet ground, then with an increase in elevation, emerges into thick woods with large pines and big stands of saw palmettos. I have not explored trails in this area recently, so cannot report on the wildflowers that might be found there. Storm water ponds. A fairly recent addition to the park, this area offers a few different wildflowers, including wireweed, Mexican clover, string-lily in the shallow water, muscadine grape along the walkway on the east side of the large pond, and elderberry and frostweed on the north side.